Beyond Innovations Inc. the leading and most uplift lives”, ties well with the spread of music and entertainment thru the JBL Brand.respected technology solutions provider in the Philippines welcomes the addition of its 14th JBL Store in the country. This growing chain of JBL Store located at SM Bacoor will feature the entire JBL portable multimedia, home theatre products; serving as a gateway to music and home entertainment lovers. JBL Store Bacoor creates a completely immersive experience into the world of epic music, movies and home-entertainment. From Beyond Innovation’s vision: “To provide advanced and state-of-the-art and to connect the most innovative technologies that enhances the lifestyles and uplift lives”, ties well with the spread of music and entertainment thru the JBL Brand. 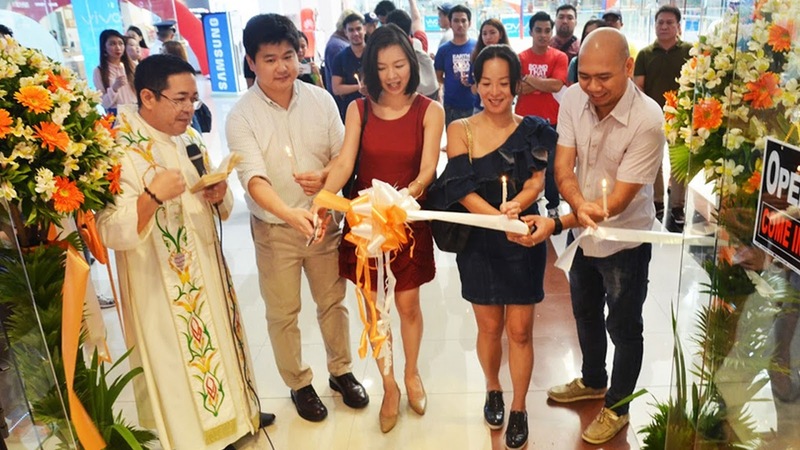 This newly opened JBL Store at SM Bacoor, will provide customers and patrons the opportunity to discover the epic sound and entertainment within a concept store space. Keeping in line with JBL’s commitment to raise the bar; excitement as the band takes the stage, the emotion as your favorite band plays, the raw power of the first power chord and most importantly, the charged and extreme joy of the experience of sound and music. JBL being synonymous with the precise, naturally articulated sound, for over 70 years, it has ignited the passions of music lovers, style seekers and tech gurus everywhere and anywhere; from homes, beaches, mountains, pools to epic parties. To celebrate the grand opening, JBL Store will host a 3-Day (June 5-8) sale of up to 50% of selected JBL and Harman Kardon products. To digitally spread the celebration and @JBLStore official facebook conducted an online contest of Count the Boombox Challenge. The lucky winner of the challenge will be receiving an exclusive gift pack and JBL speaker. and Tumatakbo to play for the festivity. Along with this, product demonstration of JBL products like the newly launched Bar series will also take place. The Bar series soundbars deliver an epic cinematic experience with plug and play simplicity. From four series to choose from; tailored fit to every movie lover. With JBL surround sound, Dolby Digital and wireless Bluetooth streaming, it will definitely raise the bar of movie experience at home. Now, anyone can get the chance to come home to cinema-quality sound with JBL Bar Series. As the leader in revolutionary sound, Beyond Innovations and JBL continues to push and innovate audio and video boundaries for that unparalleled experience. The JBL Store located at the 4th level, Cybezone area at SM Bacoor will be open seven days a week and provides the customers immersive & epic music.